Kraken is a new exchange for cryptocurrencies. After its long beta test phase, it has just been officially opened for trading. It is the brainchild of Jesse Powell, the CEO of San Francisco-based company Payward. 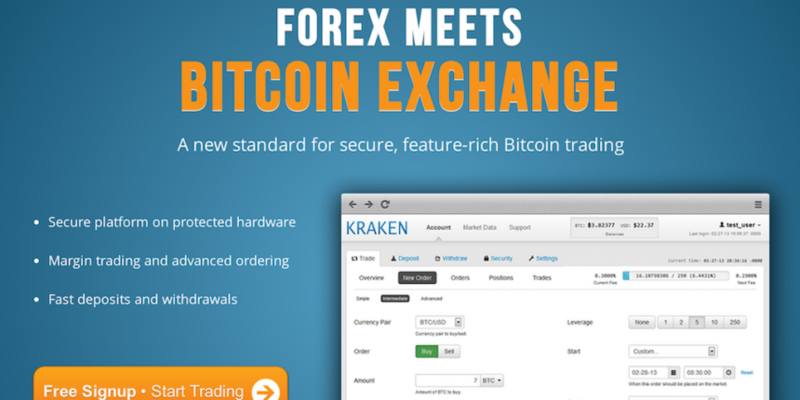 Kraken has been designed to bring digital currency traders some of the same features enjoyed by forex traders such as stop orders and margin trading. The graduation from beta status was announced on the bitcoin forum. It was also announced that several features in the original beta version would not be graduated to the live version for another month: margin trading and the ability to trade in US dollars, british pounds, ripples, namecoins and ven. Currently, it is only possible to trade between euros, bitcoins, and litecoins. There are four levels of authentication – the first three are simple to attain. The fourth is intended for businesses that will be exchanging funds through Kraken. Powell explained that the company has made progress in gaining regulatory clearance in some geographic areas and gained “more clarity” from places in which Kraken cannot operate. Bitcoin companies based in the US have been under scrutiny in the past few months, with the state of New York subpoenaing 22 companies and the state of California issuing a cease and desist letter to the Bitcoin Foundation. “We’ve seen how much the federal government cares about consumer protection (see NSA) so it’ll be interesting to see what develops between the states who are driving bitcoin businesses outside of the US and the federal government who would very much like to keep those businesses here, within their subpoena power,” Powell commented. When asked about the exchange’s liquidity and stability, Powell emphasised that Kraken is in communication with the regulators and banks: “We’re not just trying to slide under the radar and get away with it. Kraken has bank accounts in different jurisdictions: one for Europe, one for Asia, and one for the US. Powell points out that although this mitigates some of their risk, Kraken still aims to be legally compliant and work with the banks to avoid any issues. Powell is one of the founding members of DATA, the self-regulatory organisation created to develop best practices for the transfer of digital assets.